Congratulations to Susan & Gay! They each won a $10.00 TpT Gift Card for being TpT followers. 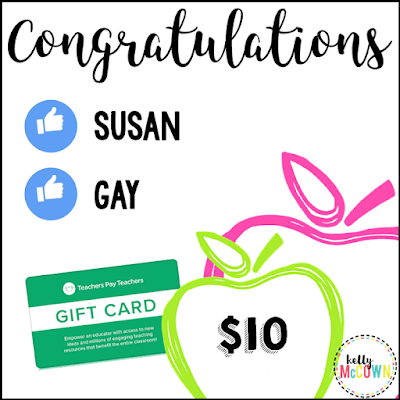 The gift cards that they won will help to bring more resources to their classrooms. Do you follow me on TpT?